Please take a moment to Vote in the Gun Control Poll 2019. Do you support or Oppose Stricter Gun Control Laws? I Oppose Stricter Gun Control Laws. I Support Stricter Gun Control Laws. I Strongly Oppose More Useless Gun Control Laws! Maybe its because I’m from Chicago, Illinois. We already have some of the strictest gun laws in the country here. They don’t seem to be making any difference. In fact, one could even argue that they are doing more harm than good. Since this is an ongoing debate, there are still many of the same gun control facts in 2019. Many Liberals like to talk about “common sense gun laws.” Here is some common sense for you: Murder is already Illegal! So is armed robbery, assault with a deadly weapon, shooting someone and other gun crimes. Yep, as shocking as it sounds, all of these gun crimes are still illegal in 2019. While doing my research for the above gun control facts infographic, I learned that there are only 403 murders per year with a rifle. That statistic includes all types of rifles. Included are not just the scary Assault Rifle styles like the AR-15 but the already illegal fully automatic machine guns, bolt action, hunting, old fashioned black powder rifles, and other legal modern semi-auto rifles. Legal gun owners use firearms for self-defense over 2.5 million times a year. According to the 2017 FBI Murder by Weapon Report, there are 10,982 gun deaths per year. It is important to note that the overall death toll includes people killed in self-defense as well. So some of those deaths tallied indeed shouldn’t count against guns rights. Nevertheless, 11,000 murders represent only 0.004% of the overall usage of guns. I would say that’s a much better statistic than the gun grabbers would have you believe. I expect that percentage to go down in the future without banning guns because according to the DOJ special report dated May 2013 firearms homicides are down 39% since 1993. There is no such thing as a gun show loophole! That is a myth created by the anti-gun movement. Dealers selling firearms at gun shows have to abide by the same transaction rules that they usually do when selling directly from their storefront. In 1997 the National Institute of Justice released a report that stated that only 2% of criminal guns came from gun shows. I imagine a newer study would reveal that percentage to be even less now since current laws are even stricter. The bigger problem is straw purchases. A straw purchase is when someone purchases a firearm on behalf of someone else who has a criminal record or cannot otherwise legally buy a gun himself. This process has been a federal offense since 1968. In Chicago Illinois, the mayor’s office, the Chicago Police and the University of Chicago Crime Lab conducted a study between 2013 and 2016. In this study, they found that 95% of the gun crimes in Chicago were committed with unlawfully purchased guns. No amount of new gun laws would affect the crime rate since the criminals aren’t purchasing the firearms legally anyway! The same study showed that 60% of the guns used in crimes were a straw purchase from outside the state of Illinois. With 20% coming from Indiana. How do you stop a gun straw purchase? Since it is already illegal to straw purchase a gun, it makes no sense to make it harder for legitimate legal gun owners to buy a gun. So how do you stop criminals from making a straw purchase? Well, if your goal is to make it harder for law abiding citizens to buy guns, then you enact stricter gun control laws. If you sincerely want to stop the unlawful straw purchasers and restrict criminals from owning guns, you trace the purchases back to the original dealers who sold them. Then investigate the dealers to see if they are involved. If they are not, they will be happy to help the BATFE investigate the real criminals. Once they arrest the persons making the straw purchase, we can put more effort into prosecuting and convicting them. When the criminals learn that there are strict penalties for their actions, instead of just penalizing lawful gun owners, the number of straw purchases will go down. Mass Genocide starts with Gun Control! Every Major Mass Genocide that I have researched in the last century has started with some form of gun control. The German Weapons Act of 18 March 1938 restricted Jews from owning guns. Needless to say, After that the Nazis killed 13 Million Jews. Gun Registration in the Soviet Union allowed Joseph Stalin to order the deaths of 20 million people after 1929. After 1948 20 Million people in China were beaten, starved or worked to death due to their inability to defend themselves because of strict gun control laws. Gun Licensing led to gun confiscations which in turn led to the slaughter of up to 3 million innocent and defenseless Cambodians. The Ottoman Empire disarmed the Armenian population and then proceeded to eliminate 1.5 million Armenian Christians in Turkey in the early 1900s. In Guatemala, hard to get permits and expensive fees on gun ownership made it almost impossible for ordinary citizens to own guns. That made it very easy for the government to murder over 100,000 Mayans in the late 1900s. Over 300,000 Christians in Uganda where murdered after gun confiscations in the 1970s. All of these mass genocides had one thing in common, strict gun regulations on civilians. Gun control leads to tyranny. Gun Control is not about controlling guns. It is about controlling people. Guns are the difference between citizens and subjects. The next time someone commits murder, put the gun in jail and let the criminal go free. An assault rifle is a compact lightweight magazine fed rifle that has the ability to fire in fully automatic machine gun mode or single fire semi-automatic mode. They were designed for military use only. Fully automatic machine guns have been illegal for civilians to own in the US since 1968. Assault rifles use magazines to hold and feed the ammunition. A full capacity magazine usually holds 30 rounds but special high capacity magazines can be used that hold 40 bullets or more. 100 round drum style high capacity magazines are available but they are bulky and defeat the purpose of an assault rifle. There really is no firearm that is termed “assault rifle.” It is a term that Adolph Hitler used as scare tactic propaganda in 1944 to describe the STG 44. The fully automatic machine gun that the Nazis used. Due to the recent popularity of the phrase dictionaries have been updated to include the term assault rifle with the description including civilian semi-automatic versions. Assault rifles became popular in 1949 with the advent of the AK-47. It uses a popular 7.62x39mm caliber bullet. This bullet size is small enough to have a high velocity but big enough to make a huge impact. Most militaries believe it is the perfect ammunition size for combat. The AK-47 is still the worlds most commonly used machine gun. In 1964 The United States Military began using the M16 rifle. It is also a military-only firearm that has a selector to switch between burst mode and semi-automatic. Burst mode allows the weapon to fire a three round burst per trigger pull. Firearms that have or have been altered to fire in burst mode are illegal for civilians to own. It fires a 5.56x45mm bullet which is over 2mm smaller in diameter than the AK-47. This makes the bullet velocity much faster but at a sacrifice of bullet weight and damage. Since the cartridges weigh less, they are easier to carry. The bullet on the left is 7.62mm which is what the AK-47 takes. The bullet in the middle is 5.56mm. It is what the M16, M4 and the AR-15 takes. The bullet on the right is a popular handgun cartrige .45 Calibur. It’s just in the picture for size comparison. Which one would you rather get shot with? The middle goes to the weapons they are trying to ban. In 1994 Almost all branches of the US Military switched to the M4 rifle. It is THE iconic assault rifle if there ever was one. The M4 Carbine is lighter and more portable than the M16. It has a 14.5″ barrel which while not quite as accurate at long ranges, is easier to maneuver in tighter quarters and almost as accurate at close to mid ranges. It has a collapsible stock and It allows for a multitude of attachments including scopes, lights, and even a grenade launcher. It fires in burst mode or semi-automatic mode. There is also a fully automatic version called the M4A1. The US Military, as well as many local law enforcement agencies, use both depending on the situation. Rifles with a barrel length less than 16″ are not legal for civilians although this one wouldn’t be legal for a civilian to own even with a 16″ barrel due to its selectable fire. The AR-15 started out as simply a dumbed down semi-automatic only firing replica of the Military M16. It has been around about as long as the M16 but didn’t gain in popularity until the M4 became the weapon of choice for the Military. The AR-15 in its current version replicates the Military M4 in looks and cosmetic features but it lacks the trigger system and selectable fire. It only comes in semi-automatic with no full-auto feature. That means it only fires one bullet per trigger pull. You can fire as fast as you can pull the trigger just like any other civilian firearm but NOT full-auto. The AR-15 is considered the perfect modern sporting rifle. It is great for target shooting and the extremely popular 3-gun series of shooting events. It’s adequate for hunting although the caliber is way too small for big game, its perfect for small game like predator hunting and varmint hunting. The AR-15 is the ultimate in Home defense firearms that are currently legal for civilians to own. It’s probably not practical for walking around town since its a bit too big to conceal unless you live in an open carry state but it’s perfect for home defense especially if you live on a small to mid size property. If you own a large ranch in Texas you will probably want something a bit more powerful and accurate for long range like a sniper rifle. The AR-15 is the ultimate in personal defense firearms that are currently legal for civilians to own. Sturm Ruger & co. began production of the Ruger Mini-14 in 1973. It was modeled after the old M14 select fire rifle that the US Military used in 1959 before the M16. The M14 was chambered in 7.62mm caliber. This civilian semi-automatic version was dubbed the Mini-14 since it was chambered in the smaller .223″ caliber. In case you didn’t already know, .233″ is the same size as 5.56mm so this weapon will also fire 5.56x45mm rounds just like the AR-15 style firearms. In fact, both weapons will fire both calibers interchangeably. The Ruger Mini-14 is highly regarded as a splendid hunting rifle and is generally accepted as such. Its availability has never been challenged or included in any gun bans. It fires the exact same bullets as the AR-15 and fires them at exactly the same fire rate! It even accepts the same magazines with the same bullet capacity. The only difference is cosmetic. It has wood furniture instead of plastic and a solid stock instead of a collapsible stock. This is the same Ruger Mini-14 rifle with different furniture and accessories. It now has black plastic furniture and a folding stock for portability and a pistol grip for a more positive feeling grip. The rest of the gun is exactly the same. It still takes the same bullets. It still holds the same amount of bullets. It still fires at the same semi-auto rate of fire which again is one bullet per trigger pull. If you think it looks more sinister now, maybe you are prejudice to the color black because there is no mechanical difference and no difference in performance. … Until Now. Senator Feinstein’s new 2019 Gun Control Bill now targets ALL semi-automatic rifles. This is a dangerously slippery slope. Almost all modern firearms are semi-automatic. Only a small amount of traditionalists still buy anything other than semi-automatic guns. Once they get the rifles, they will come for the handguns. If you don’t think so, I have news for you. You’re Wrong! Senator Diane Feinstein’s 2019 gun control bill even include some pistols according to Senator Feinstein herself. Feinstein and her long list of Democrat co-sponsors seek to rid the streets of “military grade weaponry” with the goal of ending mass shootings. None of these so called assault weapons are military spec! We already tried an assault weapons ban for 10 years and we still had 16 mass shootings! If we have more mass shootings now, it is not due to these weapons. They have been available for decades. If modern semi-automatic sporting rifles are used in more shootings its only because that is the current firearm of choice for everyone. To my last point, its like saying more accidents happen with the Honda Accord than the Volkswagen Beetle. That doesn’t make the accord any more deadly than the beetle, its just that there are more people driving them now. Senator Diane Feinstein’s assault weapons ban of 2019 gun control bill is outrageous and extremely dangerous to our freedom and 2nd amendment rights. It will ban almost all modern day firearms. Even if you are not pro-gun you should still be able to understand that we cannot let this happen. The agenda is not to ban assault weapons. They are already illegal! The end goal is to ban ALL firearms! The AK-47 takes the ammunition on the left. It is 7.62x39mm. 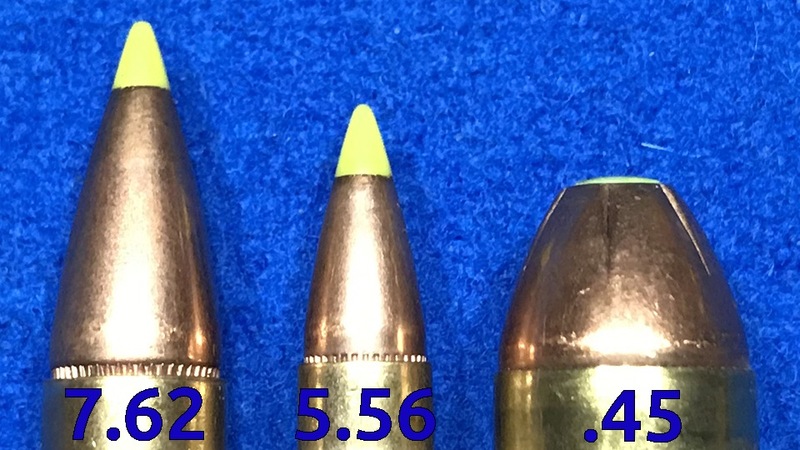 The bullet in the middle is 5.56x45mm. It is the ammo that feeds all the AR variants like the M16, M4 AR-15 and Mini-14. The bullet on the right is a popular handgun caliber ammunition. Which one would you rather get shot with? The one in the middle is the one the ban is all about. 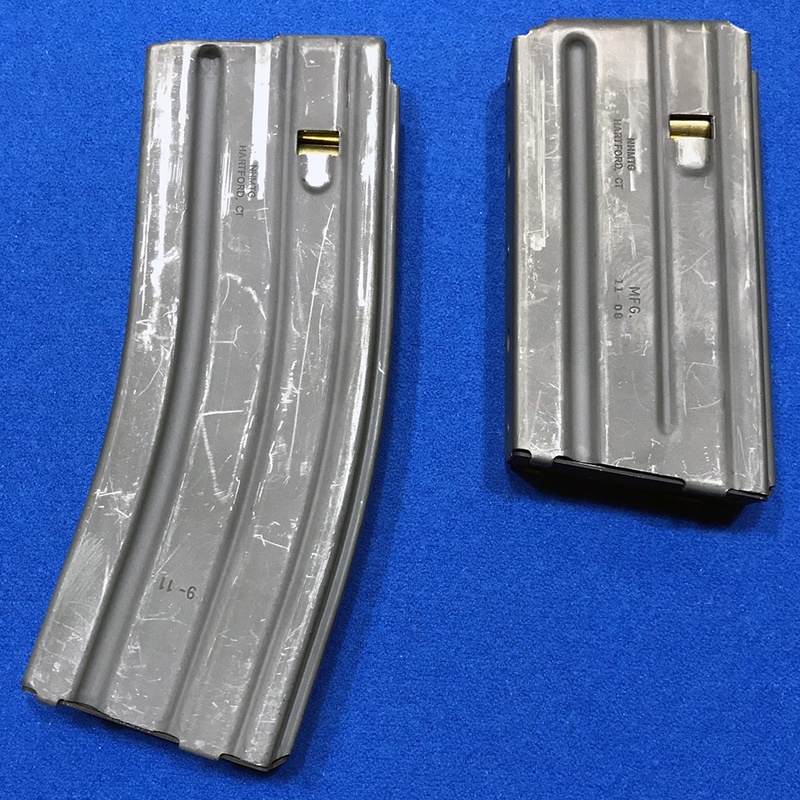 What are high capacity magazines? A high capacity magazine is a magazine that holds 40 or more rounds. There are high capacity magazines that hold 40, 50, 60 or more rounds depending on the caliber of ammunition. There are even 100 round drum style high capacity magazines. AR style rifles usually come with 30 round magazines. A magazine that holds 30 rounds is not a high capacity magazine, it is a full capacity magazine also known as standard capacity magazine. Some states that have strict gun control laws actually ban these standard capacity magazines falsely calling them high capacity magazines. They require you to use a specially designed low capacity magazine that only holds 10 rounds. Diane Feinstein wants to restrict all magazines to just hold 10 rounds. Additionally, she wants all guns to have a lock that uses a special tool to unlock the clip in order to reload the gun. If you where ever in being assaulted by a gang, you would certainly run out of bullets before the altercation is over. It often takes several shots to stop an attacker. With Feinsteins additional measure, you would get killed trying to use a tool to unlock your magazine and reload the gun. Ok now that we are all caught up with our gun control terminology and we understand the facts and exactly what an assault rifle is we can now have a more educated debate on the assault rifle ban. First and foremost, Assault is an action, not a thing. the term is simply used by gun grabbers to scare uninformed people into thinking that an ordinary firearm is some military weapon of destruction. It is false and not politically correct to call them that. The only historic use of the term assault rifle referred to a fully automatic machine gun. ALL full-auto firearms are illegal for civilians to own. Again more misinformation from the pro gun control movement. AR does not stand for assault rifle. It stands for Armalite, the company that originally manufactured it. More misinformation. AR style firearms are no more deadly than any other firearm! They fire at the same rate of fire as any other modern firearm. You only get one shot per pull of the trigger. Choosing the right weapon is crucial to the success of a mission. 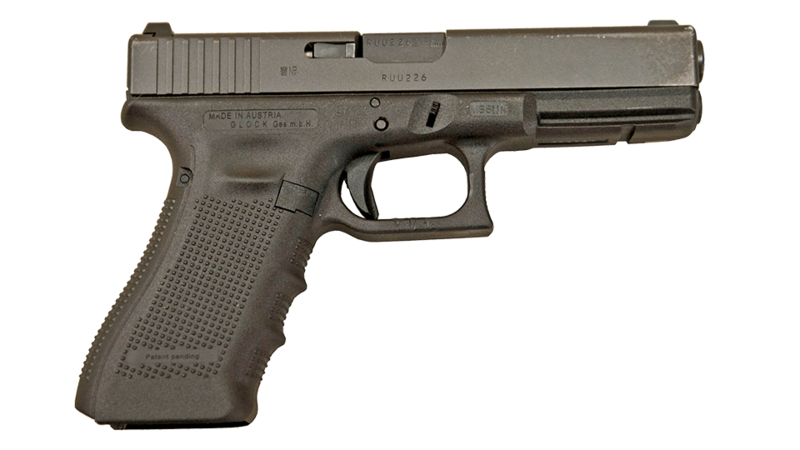 If you are planning mass murder in a small confined area like a school or nightclub, a handgun would be the best choice. You can smuggle it in easier. You can have one in each hand for twice the firepower. It shoots just as fast and the target acquisition will be much faster. If you are planning mass murder in a big outdoor area like the Vegas shooting, a high powered sniper rifle like the bold action Remington 700 chambered in .308 would a good my choice. You could make much more accurate shots and do way more damage in the same 9 minute time frame. Yet these weapons are not in question. Not that they should be. Even a real assault rifle would not be the ideal weapon of choice for mass murder. It is best on an open mid-range battlefield. The only reason AR’s are a popular gun for mass murderers to use now is that they are a popular gun all around. It is the new norm. Get used to it! If Mcdonalds has more instances of food poisoning than any other restaurant, it is not because they are the worst restaurant. It is because there are more people eating more meals there. This obviously raises the chances of someone getting sick there. Over 7,000 murders are committed a year with handguns. Only 403 with rifles. The government is going after what they are scared of, Not what is dangerous to US citizens. They don’t mind using the naive and uninformed to do it. Our founding fathers wanted us to have the same weaponry as the government. anti-gun advocates like to say that modern firearms didn’t exist back then. But muskets did and we both had exactly the same weaponry. Some plantation owners even had cannons in their backyards. If you have a large ranch and you want to patrol your property with an Apache helicopter, you should be able to. Obviously, misusing the vehicle is already illegal. Assault Rifles were already banned! We already tried it and it didn’t make any difference. 16 mass murders still happened. The solution is not more gun control. We already have that. How many more times can you restate the same law? Murder is illegal. All you can accomplish is penalizing innocent citizens who have done nothing wrong and make it harder for them to defend themselves against criminals who will still have guns. If you want to have a gun control debate about real solutions that will actually make a difference like investigating straw purchases, better mental health care, and reporting, and early detection systems that will alert us when someone is about to crack, then we can argue that. At least that will be more productive gun debate. Abortion Poll Abortion Vote Here Michael J Kelly’s Opinion on the Abortion Debate My Solution to the Abortion Debate I do offer a reasonable solution to the abortion debate. I think that there should be a hard cut off deadline in which it would be illegal to perform an abortion (unless it’s a medical emergency). Please feel free to join the gun control debate by commenting below. You can share Your feelings and arguments in the gun control debate. Is your site getting enough visibility online to make your website more profitable? I’m an SEO specialist who fixes issues found in the back-end of websites, so they can be more relevant and appear on the 1st page of search engines. Making sure you’re on the 1st page of searches when potential clients are looking for certain keywords related to your products/services is crucial to boosting your business. If this is something you are interested in, please let me know whom I can reach out to with this concern. I’d be glad to explain even further of what I am capable of doing and how this can better help your business. Kindly let me know as well about your preferred time to be contacted. Talk to you soon!